ShoJo can blast 3 or more of the same type of block in a row. 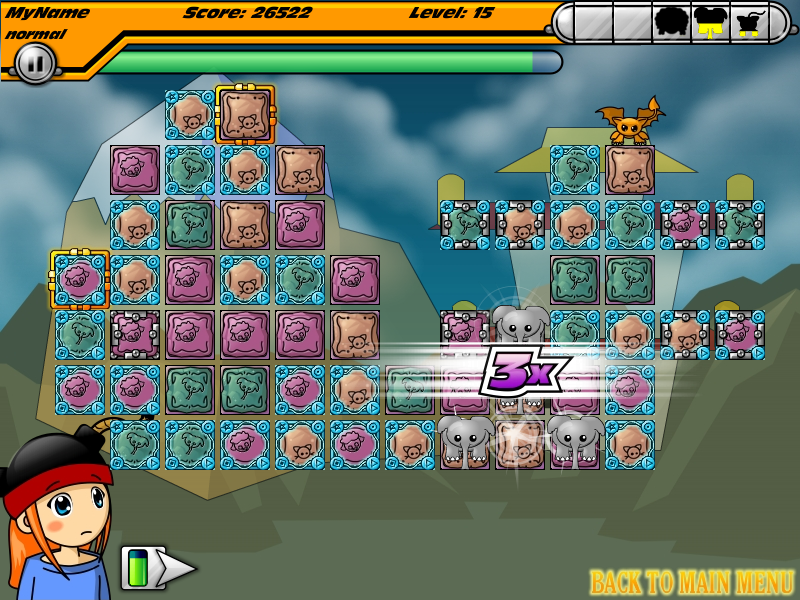 Blasting more than 3 blocks in a row will give you a multiplier bonus. These multiplier bonuses give you extra point bonuses, and also fill your magic meter more quickly. If your magic meter is green, you can click it to push the blocks forward.